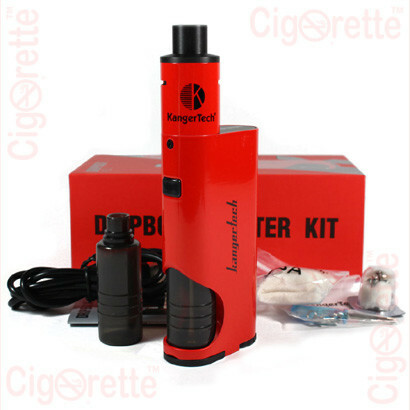 KangerTech Dripbox E-Cigarette Starter Kit is an extremely easy to use MOD that has a Subdrip atomizer with a replaceable prebuilt coil and squeezable bottle to flow the juice into the atomizer. 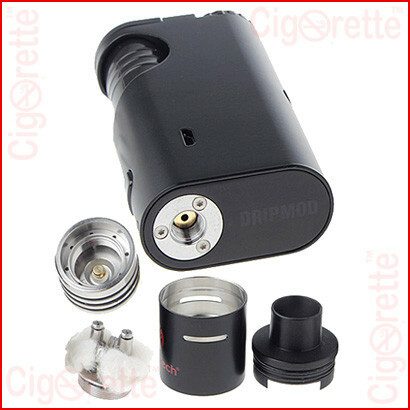 It has a 60W output and a 0.2ohm coil resistance. It is operated by a 18650 battery that needs to be bought separately. 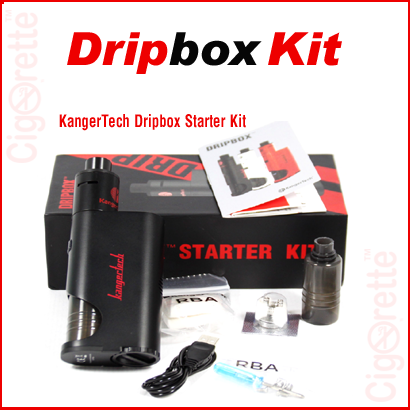 This Dripbox kit along with its Subdrip atomizer is an extreme user-friendly MOD. It doesn’t make the user stand in need to build own coils as a dripping atomizer. 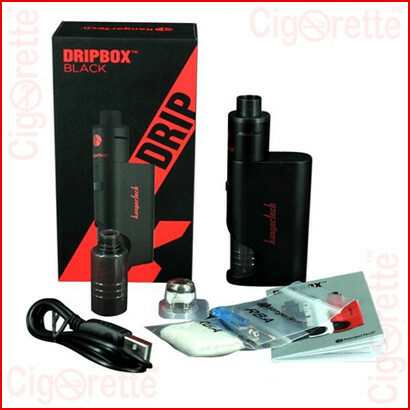 The Subdrip of this Dripbox allows the user to swap a readily built coil within seconds. That is, by unscrewing the threaded old prebuilt coil from the atomizer base deck and screwing-in the new one. 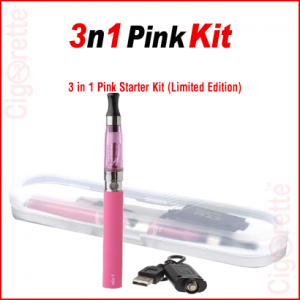 Also, The e-liquid Filler has two ends that connect the liquid bottle with the atomizer. 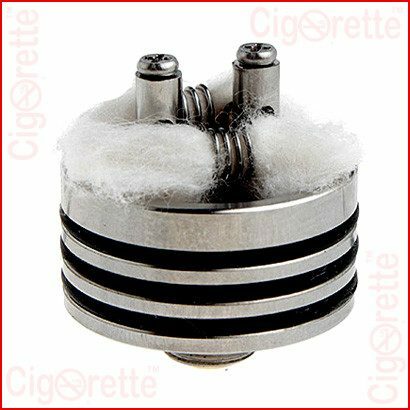 The user should squeeze the bottom of the container to allow the juice to flow into the readily built coil. 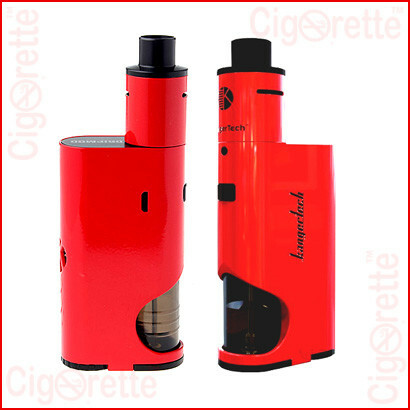 This Mod has a 60W output and a 0.2ohm coil resistance. 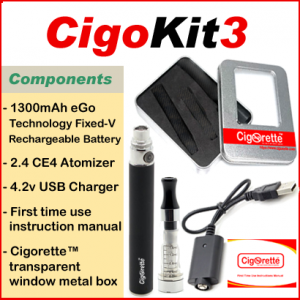 Moreover, it houses a single 18650 battery that doesn’t come with the kit and needs to be bought separately. The juice bottle capacity is 7ml or 7cc. Also, the Subdrip atomizer has a 510 threading connection, 22mm diameter, and features an adjustable airflow control.